Editor’s note: Before joining Google’s Education team, Morgan Weisman was a kindergarten teacher. Today she is sharing how one of her students inspired her to help build products that aim to meet the needs of all types of learners. The first time I met six-year-old Jeremiah, he clung to his mom’s leg as he peeked into my kindergarten classroom. Soon he came alive as he talked about his favorite superhero: Spiderman. He ran around the colorful classroom, touched everything in sight and chatted aimlessly. However, when he realized my attention had shifted to his mom, he threw himself on the floor in a tantrum. That’s when his mom told me that they suspected he had autism, but were hopeful that the routine of school would help him focus. This began a year long journey of giving Jeremiah the educational support he needed, while also teaching 24 other students with 24 different learning styles. Seventy-two percent of classrooms have special education students, and teachers have to work to keep them all engaged and invested in school. For me, I leveraged technology to create differentiated lessons and support each student, especially Jeremiah. Jeremiah lit up when he had a computer in front of him and headphones on. He could listen, engage and learn without distractions. We had him fitted for glasses, and he learned how to use the screen magnifier to make the words pop on his screen. He learned sight words, numbers and simple addition through songs and videos. Best of all, his social skills developed as he learned to share and take turns with devices. Since joining Google, I’ve seen even more ways that educators use technology to help students succeed. We strive to support teachers, and one of the ways we are doing that is through built-in accessibility features in our products that aim to support the diverse needs of all students. Some of my students on kindergarten graduation day... all decked out in gear from my alma mater, our class' theme. Visual aids: Increase the size of browser content by pressing Ctrl + Plus to increase, Ctrl + Minus to decrease, Ctrl + 0 to reset. The rest of the desktop is unaffected. You can enable high contrast mode by pressing Ctrl + Search button + H on the Chromebook keyboard. Adjust your font face and size, and install Chrome extensions for custom color support. Mono Audio: For users who have limited hearing in one ear, there's a Mono Audio option to play the same sound through both speakers. Turn this feature on in Accessibility settings. Spoken feedback: For users who need synthesized speech on occasion, we offer Select-to-speak. When enabled, press and hold the Search key, then click or drag to select content to be read aloud, and press Ctrl to silence. Change the word-by-word highlight color in Select-to-speak settings. We also have the ChromeVox screen reader that reads all text aloud, a free, browser-based screen reader that users can access from any device and built directly for ChromeOS. Acapela text-to-speech voices: Now you can purchase and use more than 100 Acapela voices to read aloud text in 30+ languages on Chromebooks, including a variety of childrens’ voices. Slides: Turn on closed captions in Slides to support students who are deaf, hard-of-hearing or ENL. Simply use Ctrl + Shift + c in ChromeOS/Windows or ⌘ + Shift + c in Mac. Voice typing, editing and formatting: Use the mic and enable the feature to use voice typing in Docs and Slides to write and edit without a keyboard. Visual aids: Enable high contrast themes in Gmail and browsing, and use powerful keyboard shortcuts for those who can’t or don’t want to use a mouse. Collaboration: G Suite works on all different platforms including Windows, Android, iOS devices and even multiple devices at one time. You can all be on different devices and still collaborate in real time. Braille: Use a Braille display to read and edit Docs, Sheets, Slides and Drawings. Screen reader & magnifier: Turn on the features in accessibility settings to zoom in or use the screen reader in Docs, Calendar, Sites, Classroom and even in other browsers. We’re supporting teachers through our own tools as well as strong partnerships with organizations who share our mission. One such organization is Don Johnston, a company that builds tools for people with all types of learning styles and abilities. 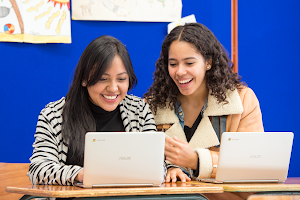 We’re excited to announce them as a Google for Education Premier Technology Partner, with new integrations using our Drive API, Classroom API and Google single sign-on. Try out their core products in Chrome, Co:Writer, for word prediction, translation, and speech recognition, Snap&Read for screen reading, & their newest product, automatic quiz generator Quizbot with Google Forms. See how one Indiana teacher uses Chromebooks and Don Johnston tools to improve reading independence in her classroom. Ready to make your teaching more accessible for all learners? Learn more about Accessibility at Google, and check out our announcements from ACB & NFB 2018. Visit our G Suite and Chromebook Help Centers. If you’re a G Suite admin, check out this page. To customize your Chromebook settings, navigate to Chromebook Settings > Manage Accessibility Features on your Chromebooks. Attend a free workshop with Don Johnston to learn more about tools for student-led learning. 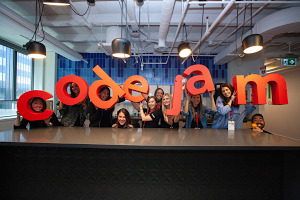 At Google for Education, we're passionate about building tools that make teaching and learning better for everyone. We love hearing stories of how technology is changing students’ lives, so please share ways that you’re using accessibility tools to support all types of learners.